Graham B. Schmidt is an experienced probate attorney who assists clients to administer probate estates, draft comprehensive estate plans and litigate disputes in the Probate and Chancery divisions of local courts. Graham also holds a real estate broker's license and has substantial experience with real estate law in Metropolitan Chicago. Prior to forming Lincoln Law Partners, P.C., Graham was a transactional associate for Beermann Swerdlove LLP., a mid-size Chicago law firm. Graham specialized in probate administration and residential real estate transactions during his tenure at Beermann Swerdlove LLP. Outside of work, Graham enjoys watching movies and spending time with his wife and twin girls. Alan W. Schmidt has been practicing law in Chicago for more than 30 years, concentrating in estate planning, estate administration and real estate. 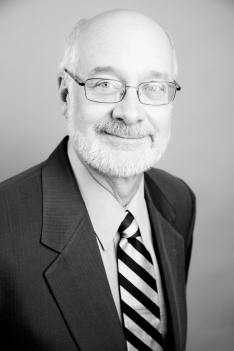 Founder and shareholder of the law firm Drost and Schmidt, Ltd., Alan is of-counsel to Lincoln Law Partners, P.C.. Beyond his work, Alan enjoys his time visiting with his grandchildren and exploring the city.